I'm writing this Sunday morning, Oct. 1 after just seeing the Eagles hours before at Safeco Field in Seattle. 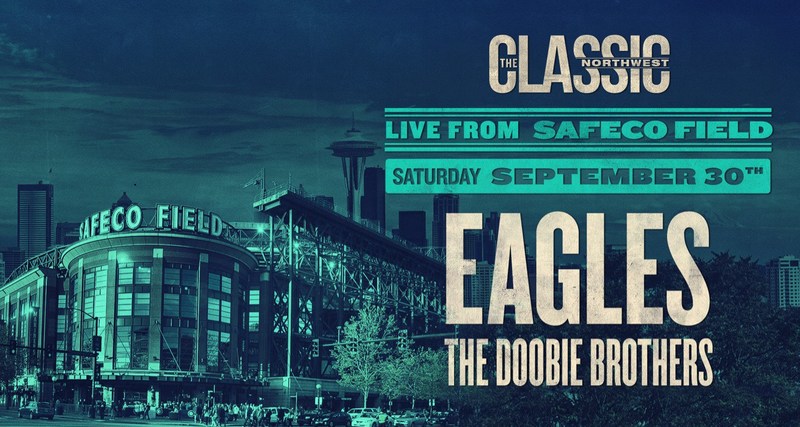 The show was called, The Classic Northwest with the Doobie Brothers as the opening act and lived up to the billing. I generally don't write reviews of the concerts I go to, more of an observation than critique. MK and I loved the show with a packed ballpark of fans channeling their inner 1970's. I've been to Safeco now three times (all this year), first seeing a Mariner/Yankee game, Tom Petty and now with the roof over our heads as a light rain fell (if you are from San Diego), but just a little nothing mist for the locals. Here is the setlist from last night and I believe the same set the Eagles played at Dodger Stadium recently. 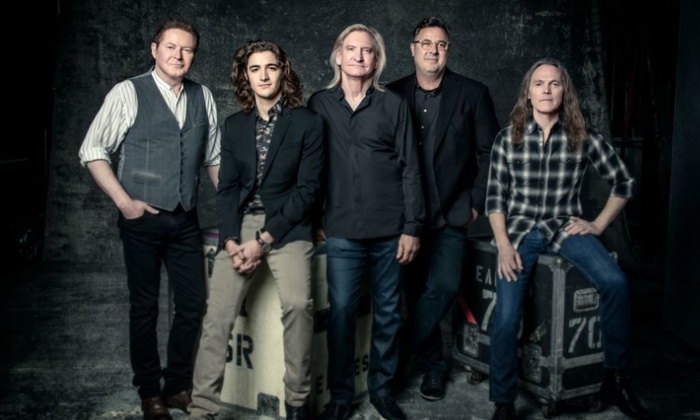 If you didn't know, since the death of Glen Frey in 2016, the Eagles have added Glen's 24 year old son, Deacon Frey to the line up along with country legend, Vince Gill. Both Vince and Deacon trade Glen's lead vocals on all the classic hits and I must say, I was blown away by both. 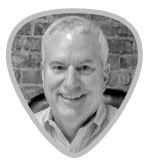 For Vince, you would expect only the best, but he is better than that, he has totally immersed himself in team Eagles, and I don't think there is a better pick for the Eagles than Vince Gill's voice, guitar and kindness. The addition of Deacon Frey is not a gimmick, like a live cardboard cutout of Glen on stage. Deacon is the real deal, his singing is solid if not impressive, and you have to admire his ease on stage to fill the shoes of his famous dad. 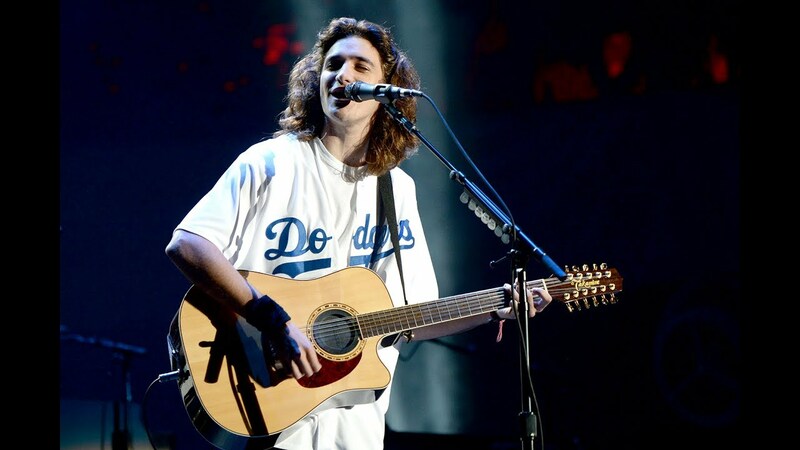 Deacon Frey is not going to allow himself to let anyone down. Don Henley gets a lot of credit for making the 2017 band everything as exceptional as the 1970's group. The hallmark of the Eagles is their country rock vocal harmony that made them one of rock 'n' roll's greatest bands. That classic tradition carried on Saturday night. The rest of the core band including, Joe Walsh, Timothy B. Schmit and Steuart Smith (who plays much of Don Felder's part) were outstanding, not to mention horn, rhythm and orchestral sections. The band had a rich, full sound. I last saw the Eagles on Glen's last tour, History of the Eagles in 2014 in San Diego, and this one matches that fantastic show as one of my all-time favorite concerts. As for the playlist this week, I wasn't impressed with the distance and quality of the phone videos uploaded to YouTube (so far) from the Saturday show. I'll just leave this compilation of Glen as this wonderful band moves forward without him. Long live the Eagles!